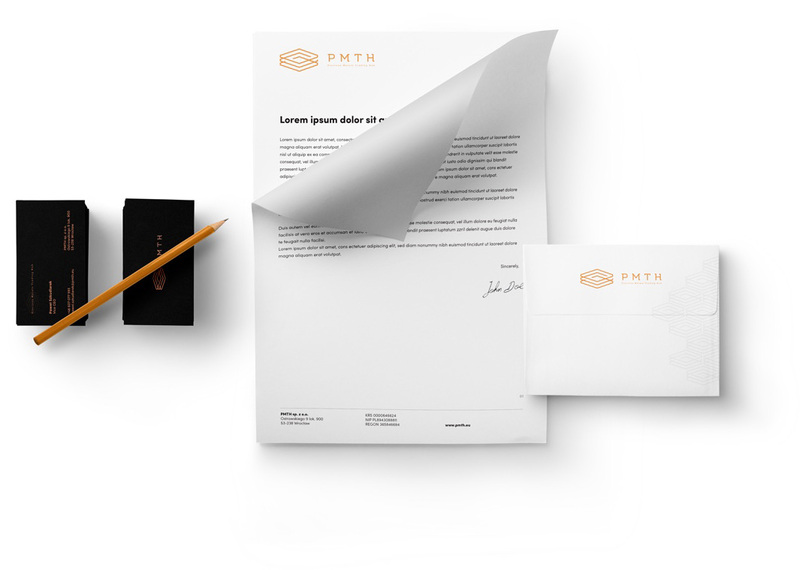 PMTH approached us when they were still a newly-established company making their first steps on the market and in dire need of a proper visual identity. 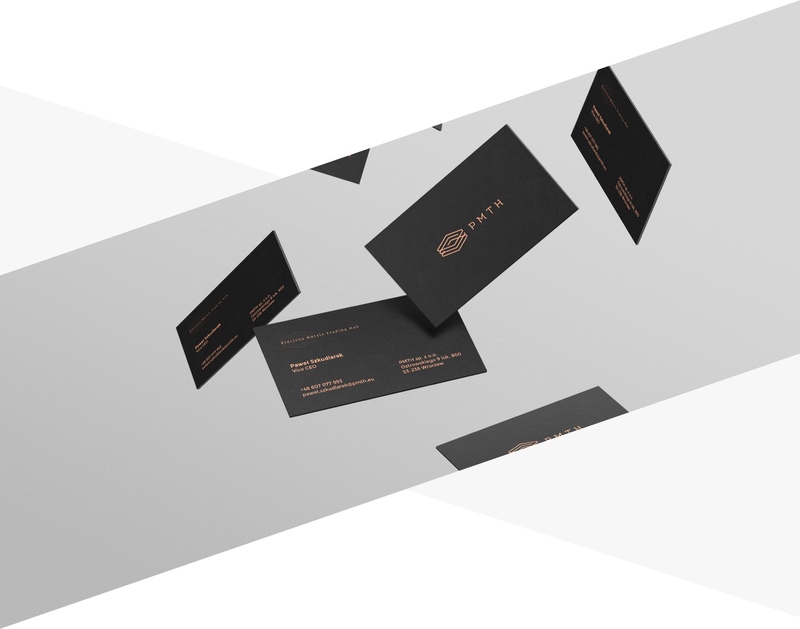 Our mission to develop a brand identity for them, one that would correspond to their business environment and that would reflect the specific nature of this company specializing in precious metals distribution. 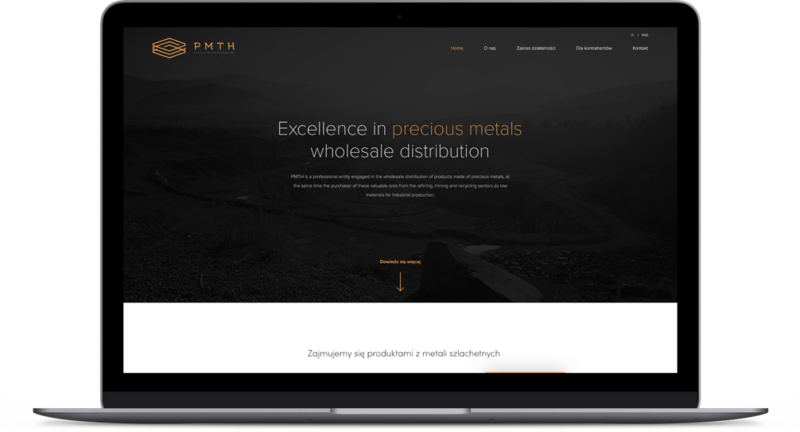 The industry that PMTH operates in required us to design a brand identity emphasizing elegance and premium quality, while also referencing the “material” that the company deals with. Because of that, we decided to use orange as our key color, complementing it with blacks, whites, and grays; for special prints, we used PANTONE copper instead. The symbol, on the other hand, brings up connotations of individual elements coming together into an efficient structure, while the space inside references the notion of a hub—a nerve center linking together different services. We also used the symbol to form a decorative pattern to round out the brand identity. 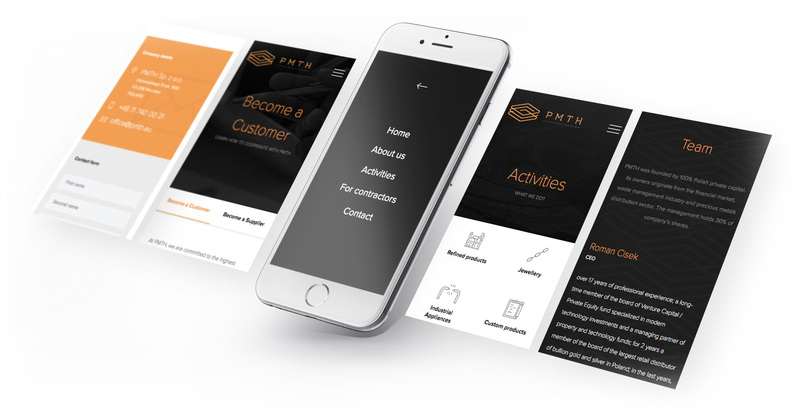 PMTH operates in a variety of fields and aims its services at a range of different clients. We tried to reflect that in the logo and reference the notion of a hub bring together different areas of business. We selected a sans serif font, modern and highly distinctive. The design of the logo allowed us to use it as basis for a repeating pattern that we’d use on a variety of branded printed materials. From the earliest stages of this project, we knew that designing and producing the printed materials would require us to carefully select materials to match the industry we were dealing with, and that meant an opportunity to work with high-grade papers and gilding. Blacks, whites, golds; simplicity and sophistication. This is the “raw material” we were dealing with when we began designing the PMTH website. 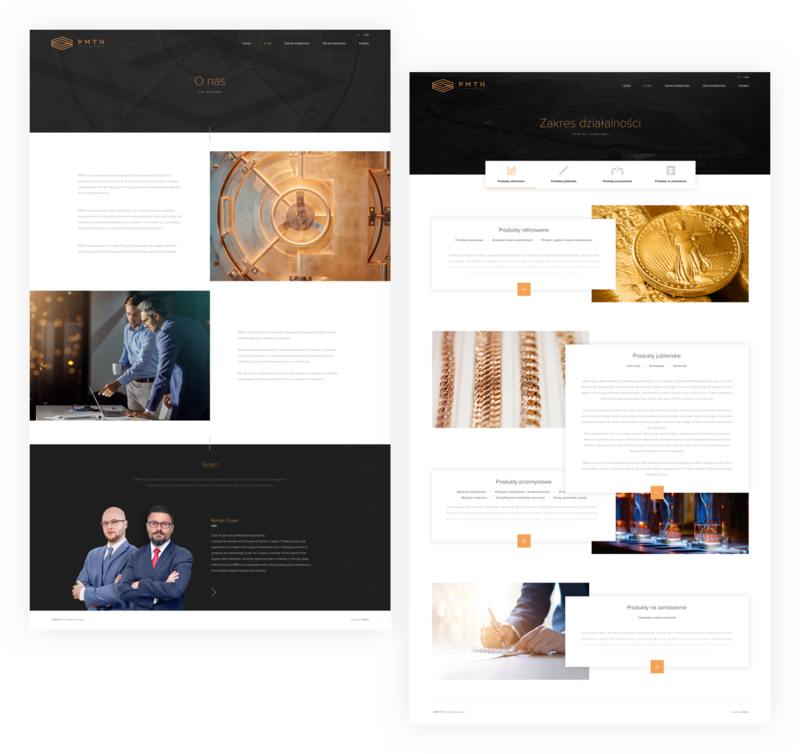 We also knew that we can’t overload the site with too much information, we had to make it clean enough for the visitor to be able to quickly find the information they need. We decided to implement a simple navigation system and enrich the browsing by experience using beautiful photography and more pronounced orange/copper accents. Adapting the website for viewing on mobile device is an absolute standard in modern web design. The last item on our agenda covered designing the menus, modifying the layout to better fit smaller screens, and running rigorous tests on a plethora of mobile devices.